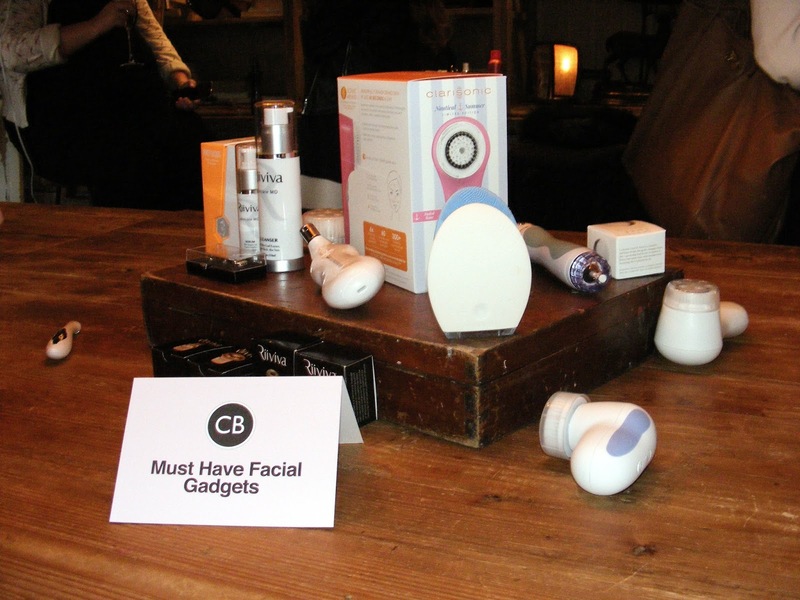 A few weeks ago I was invited to a beauty event hosted by Carousel PR introducing the fabulous product ranges of the health and beauty technology brand CurrentBody.com. 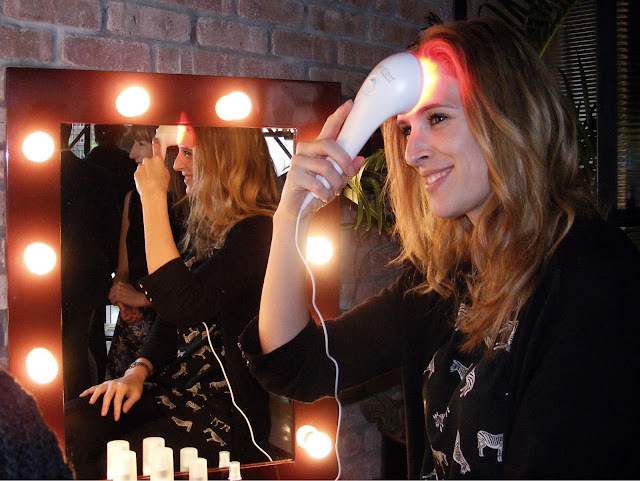 From every-day must haves such as the Clarisonic to more complex technologies including the Silk'n Flash & Go laser hair remover, the event presented beauty products to meet everyone's needs and wants. On the night, we were greeted by the lovely Carousel PR team and a glass of bubbly. As we explored the products displayed across the room, mouth-watering canapes and elderflower and cucumber cocktails were passed around. Until then, I had never realized how much product variety CurrentBody really offers. With over 45 brands, you can find anything from skin cleaners to anti-aging products, exfoliation and skin care technology, body toning and body sculpting products, hair care and hair removal solutions, dental care, acne and spot removal, and pain and rehab technologies. I managed to capture my top 3 favorite products of the night in one picture. 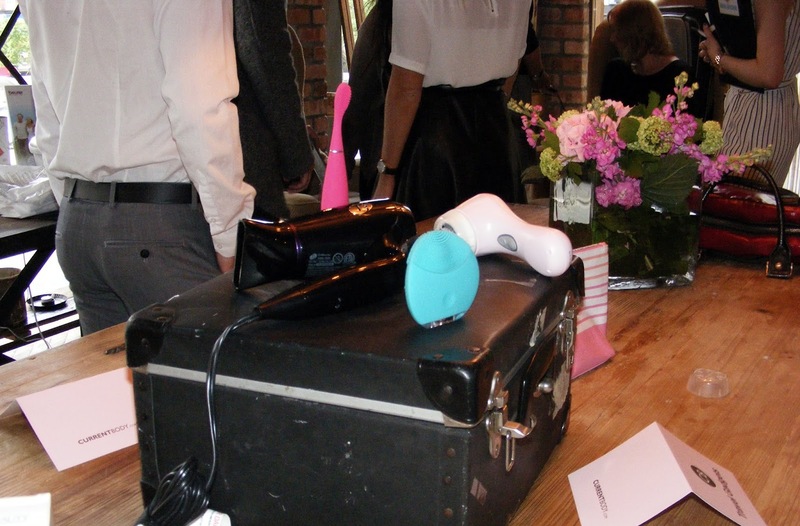 They are: the Clarisonic face cleanser, the T3 travel-sized hairdryer and the Foreo Luna facial cleansing brush. Almost considered a classic, the Clarisonic is an amazing daily exfoliating product. 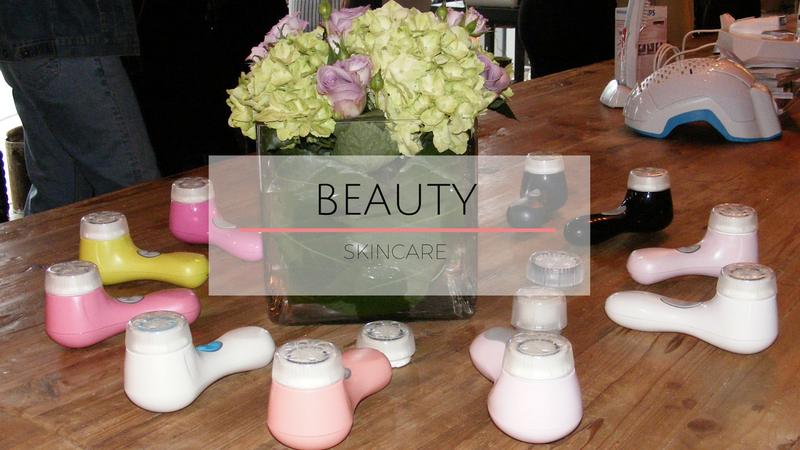 As I have a very similar product and love it, the Clarisonic took the top spot on my list. As a lover of anything convenient, but still highly functional, I immediately fell in love with the T3 travel dryer, which is just as powerful as a regular hairdryer, but conveniently folds up for packing. The final spot on my list was given to the Foreo brush. Although I never actually tried it, the reviews I heard from other bloggers on the night really impressed me. 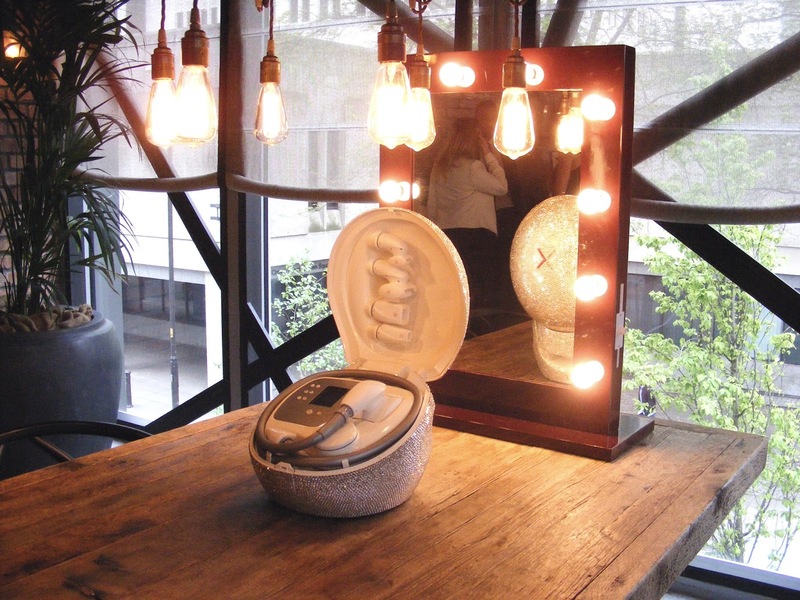 The area for the event was divided in various sections, including a designated area for expert talks, hair styling, a DIY shellac nail bar, and various product demonstration areas. On the night, I had my hair styled into loose curls by a T3 expert using their BodyWaver professional styling iron. After spending more time than acceptable trying out the Beurer massage seats, the amazing Jess, account manager at Carousel PR, did my nails in an always-fashionable red shellac polish. 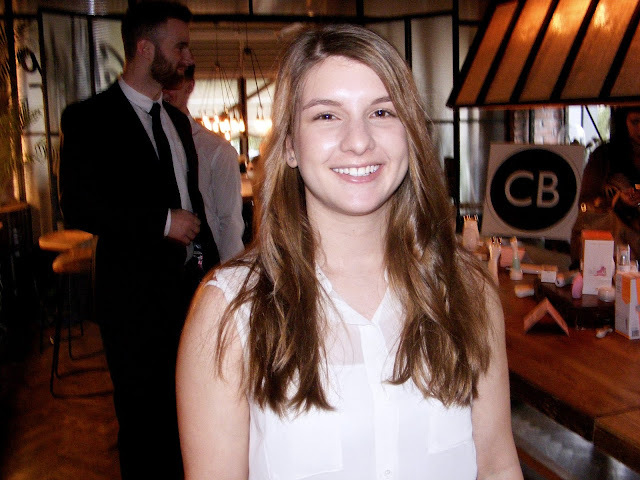 Overall I had a great time catching up with blogger friends, making some new connections, learning about some amazing beauty products, and getting to know everyone behind Carousel PR. Thank you for a fantastic event! Your hair looks amazing! :-) What a great event!! I am reading you all the time but actually I never comment ! (upss) yeah the event was nice! Reading posts like this makes me wish there were more similar events for men!! Gaaaaaaaaaaarrrrgh! !